Health just has not seemed to live up to its promise. having made a number of significant changes to its platform. & wellness and signing on additional partners and data providers. 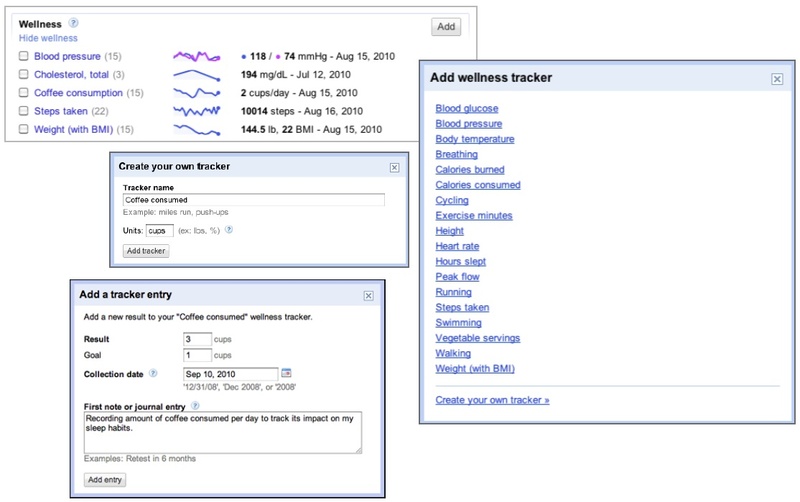 UI for tracking health metrics. figure below to measure coffee consumption. Nice touch Google. the young Massachusetts start-up fitbit (novel pedometer that can also monitor sleep patterns) and the WiFi scale company, Withings. On the mobile front, Google has added what they say is the most popular personal trainer Android app, CardioTrainer and mPHR solution provider ZipHealth (full disclosure, I’m an advisor to the creators of ZipHealth, Applied Research Works) which has one of the better mPHR apps in the market. to Google Health. Pretty incredible. 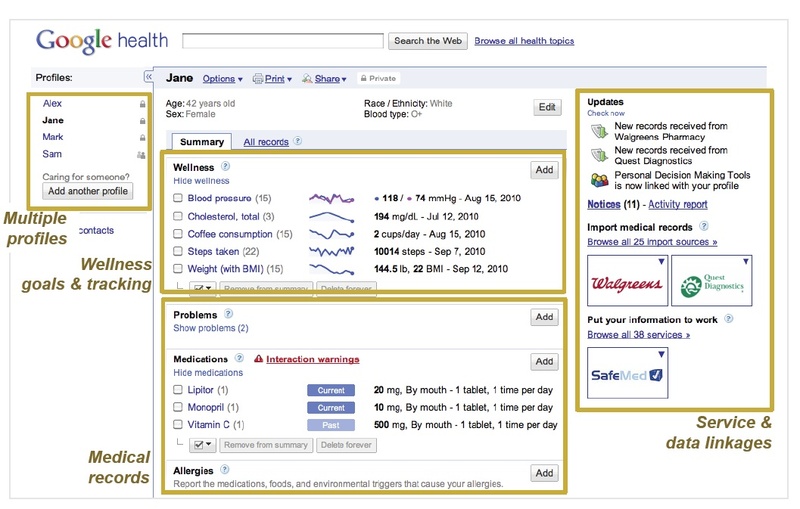 Chilmark is delighted with what Google has done with Google Health. the enterprise market for virtually any of its services. And that is one of many challenges Google will continue to face in this market. partners than it has today to make this happen. is far from a done deal and has its fair share of challenges as well. to help consumers better manage their health. Thanks for great, informative post. After some initial conversations from our organization with Google Health late last year, they basically “disappeared” from our radar screen. While we were interfacing with others in the field addressing issues of PHR, technology use, they went from being an interested discussant to being absent. While we’re a small collaborative, we’ve had some success in discussing major issues with others, including Microsoft, but found the absence of Google interesting. This is a great explanation of what occurred, and what is perhaps to happen in the future….but good luck. Another good reason to short their stock. And you stole fitbit from San Francisco and moved it to Massachusetts! give it back i beseech you!